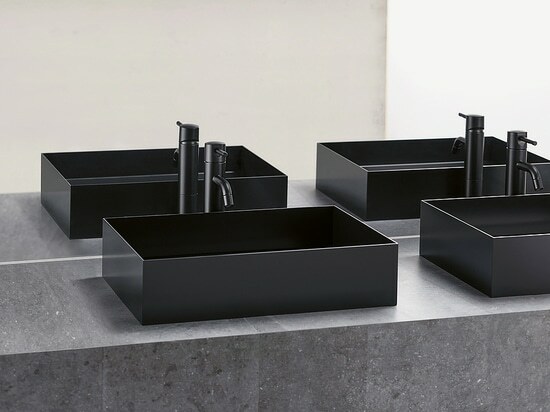 The Asse washbasin is marked by straight lines and surfaces. Taking advantage of a special bending process, the thin yet stable stainless steel plates are bent at a right angle, which makes them join seamlessly to emerge as a bowl of purist appearance. Details such as the drain strainer are integrated invisibly into the washbowl, underscoring the self-contained look of the design. A hybrid coating of organic and inorganic colour provides the material with high durability. 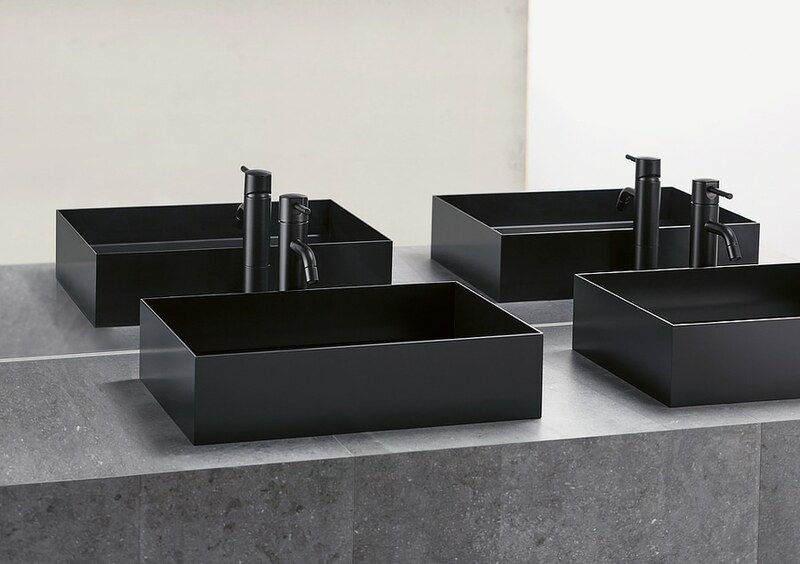 The geometrically clear design and the unusual material of the Asse washstand basin truly catch the eye, bringing a new aesthetic to the bathroom.